More Feature – Full Metal Body Design, LTE Cat 4 150 Mbps Download, 50 Mbps Upload, HSUPA 5.76 Mbps Upload, HSDPA 21 Mbps Download, VR Headset Support, Customizable Key, 2.5D touch screen, Data Protection, Air Gestures, MediaTek Pump Express Quick Charge Technology, Multiple Language support. 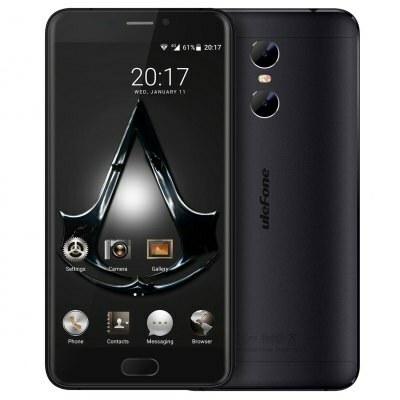 Ulefone Gemini is upcoming phone with great fingerprint scammer, touch screen, category 4 network technology, with average size display and Android 6.0 OS. Its 3gb ram and 32gb internal storage is not supper fast but solve your normal work easily without heating and hang. If we see the design of back cover is beautiful and bright as well. The special feature of this phone is dual back camera with great quality pictures and nice flash light. well i will Prefer to buy DOGEE mix… It has awesome features… Now amoled screen with helio p25 processor and come with 4gb ram. 64gb rom/6gb ram. 64gb rom… And it has bazel less technology… So it will worth to wait for this techno beast"